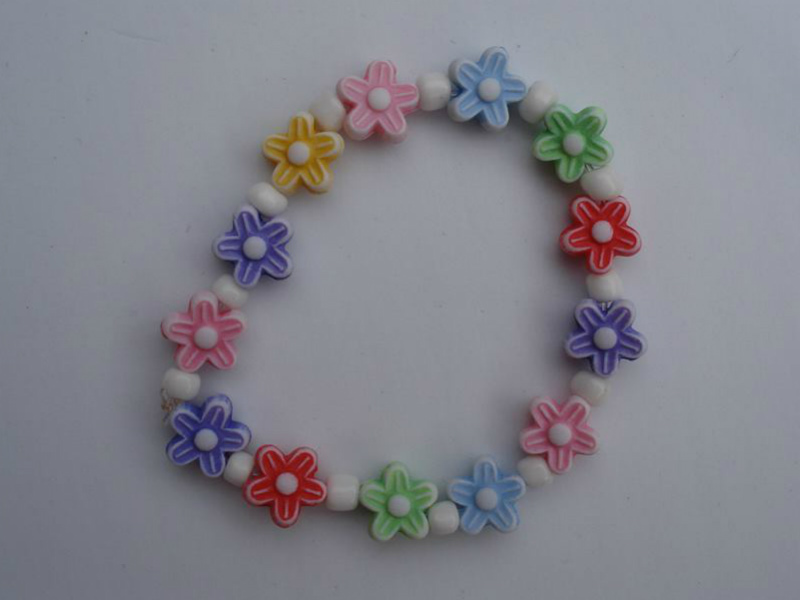 This simple childs mixed flowers bracelet is ideal for summer, also for casual wear, party gifts or presents. 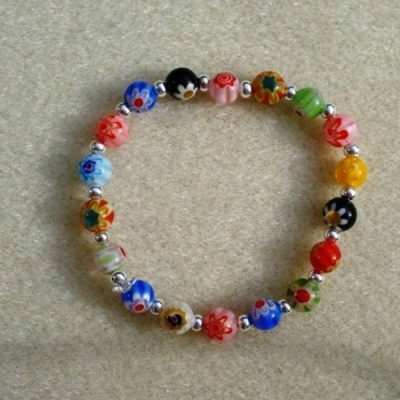 Beads are ceramic and glass and elasticated for ease. 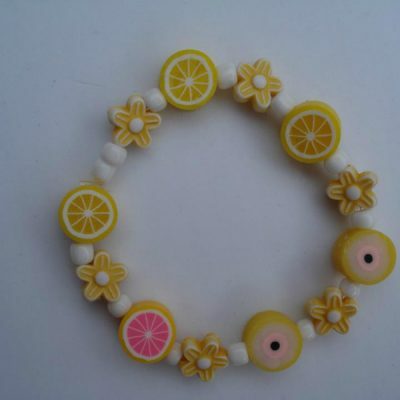 This sweet and pretty colourful mixed flowers bracelet is made with ceramic daisy style flowers and white pony beads. Strung on elastic, the cute detailing and lovely warm colours of this bracelet are great for those summer days. 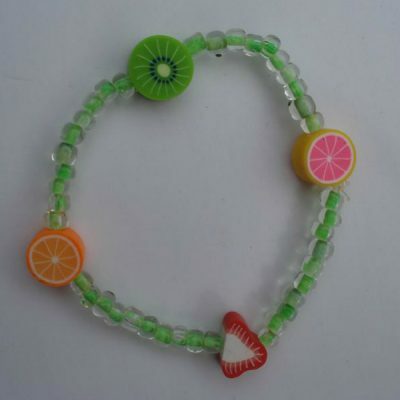 Or maybe even dressing up, they also make great party gifts, and ideal for stocking fillers. the beads are fascinating and have so much detail in them. Discounts on quantity. for details email me with your requirements for details using the contact form.